While PokerStars normally give sponsorship deals to famous and well-established players, they did things a little differently this time around. The world’s largest online poker site asked 500 of their qualified Supernova Elite players to apply for Team PokerStars Online. Out of these applications, they chose Katerina “Katerina289” Malasidou, Matthias “Mati312” Brandner and Luka “LukaSteel” Kovac. If you’d like to learn a little more about these pros, check out the short bios below. 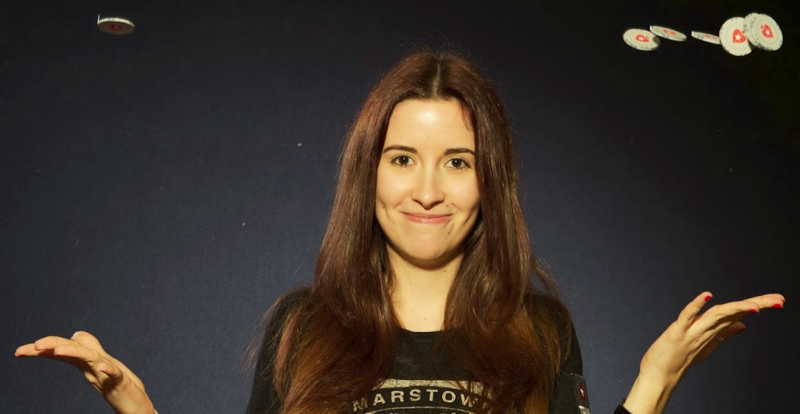 Katerina Malasidou – A former accountant, Malasidou found online poker thanks to her boyfriend and fellow Team Online member, André ‘acoimbra’ Coimbra. Thanks to Coimbra’s tips and encouragement, Malasidou eventually quit her day job to play poker full-time. The Athens, Greece native has since proven to be a well-rounded poker player, experiencing success in cash games, MTT’s and SNG’s. Malasidou’s talents also shine in the writing world, as she proved by winning the WBCOOP Best Female Blogger Award in 2013. Away from the virtual felt, Malasidou enjoys playing Magic: The Gathering, dancing, cinema and traveling. Matthias Brandner – Although a very profitable player today, Brandner actually started his poker career on the play-money tables. Brandner and his friends would meet at PokerStars’ free tables and learn the game without spending a dime. He’d later get more serious about poker while a student at the University of Vienna. Since that time, Brandner has risen to become one of PokerStars’ top cash players in a variety of disciplines, including 2-7 Triple Draw, Badugi and Razz. His non-poker interests include playing the piano, listening to music and hanging out with friends. Luka Kovac – Kovac is easily the most athletic of Stars’ new signings because he spent a decade as a competitive skier. Eventually, Kovac got burnt out on skiing since it kept him on the road for 120 days per year. So, at the age of 18, he was very excited to find competition in a new game: poker. He was first introduced to poker through TV, then his friend convinced him to start playing online. Under the name ‘LukaSteel,” he’s managed to rise through the Limit Hold’em cash ranks and become a very successful player.